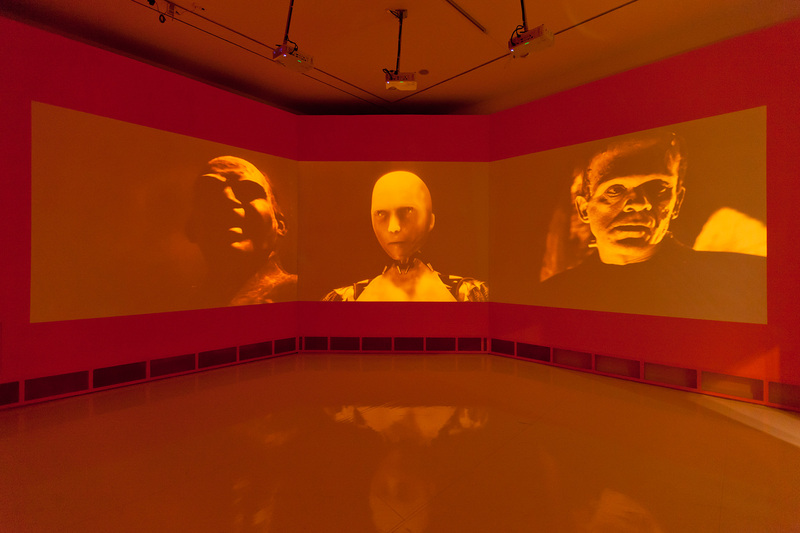 AE/MAETH, a new 3-channel video installation in collaboration with Detlef Weitz, reveals the myth of artificial life in cinema history. The video collage is based on snippets from 60 movies that depict humunculi, cyborgs, robots, androids and of course: golems. The work was produced for the thematic exhibition about the golem – the most prominent of Jewish legendary figures – at the Jewish Museum Berlin.